When in a PRSSA setting (meetings, volunteer events) please conduct yourself with a manner of professionalism. Professionalism is defined as being respectful to other members and professionals. Be respectful of people’s opinions and space. Use appropriate language while talking to professionals. Act in according to CSUF policies. In that moment, you are representing California State University, Fullerton and the Public Relations Student Society of America Robert E. Rayfield Chapter. Please remain engaged and on the task at the event. The California State University, Fullerton Public Relations Student Society Robert E. Rayfield Chapter does not condone or accept any form of bullying or harassment. Members shall not be discriminate on the basis of race, religion, national origin, ethnicity, color, age, gender, marital status, citizenship, sexual orientation or disability. 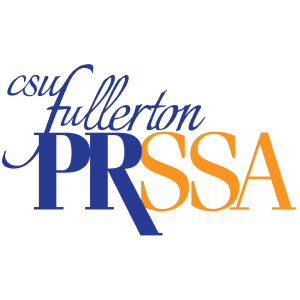 The California State University, Fullerton Public Relations Student Society Robert E. Rayfield Chapter has a ZERO-TOLERANCE sexual harassment policy. Once sexual harassment has been reported, the Executive Board has the right to vote to remove the member by a ⅔ vote. A reported member will also be subjected to an investigation by Title IX. If removed from Chapter, either by Executive Board vote or by being found guilty in Title IX investigation, they will not be subject to reimbursement of membership dues and will forfeit all membership benefits. When a member RSVPs for an event (agency tour, volunteer, tv taping), it is expected that the member arrives on time. These opportunities are a privilege given to members on a first come first serve basis. By not attending, you are depriving another member of this privilege. If an emergency comes up, please contact the Executive Board member in charge of the event as soon as possible (the latest being 24 hours before). In the case that the Executive Board member is not notified within 24 hours, the associate member will be required to write a letter of apology to be reviewed by the Executive Board. If the reason for absence is not reasonable, the associate member may lose benefits to sign up for future events. If there is a logical reason for the absence, no further action will be taken. Work to respond to inquiries from the Executive Board members in a manner that is respectful and professional. With the President’s approval, a Capstone group (COMM 464 or 474) may have the opportunity to send no more than two emails to all PRSSA members to promote their event or client if three-fourths of their team is a PRSSA member. All other requests will be denied. If a member is a part of a committee, they are expected to abide by their provided committee contract.